We started putting up Easter decorations at the weekend but finished the display yesterday. 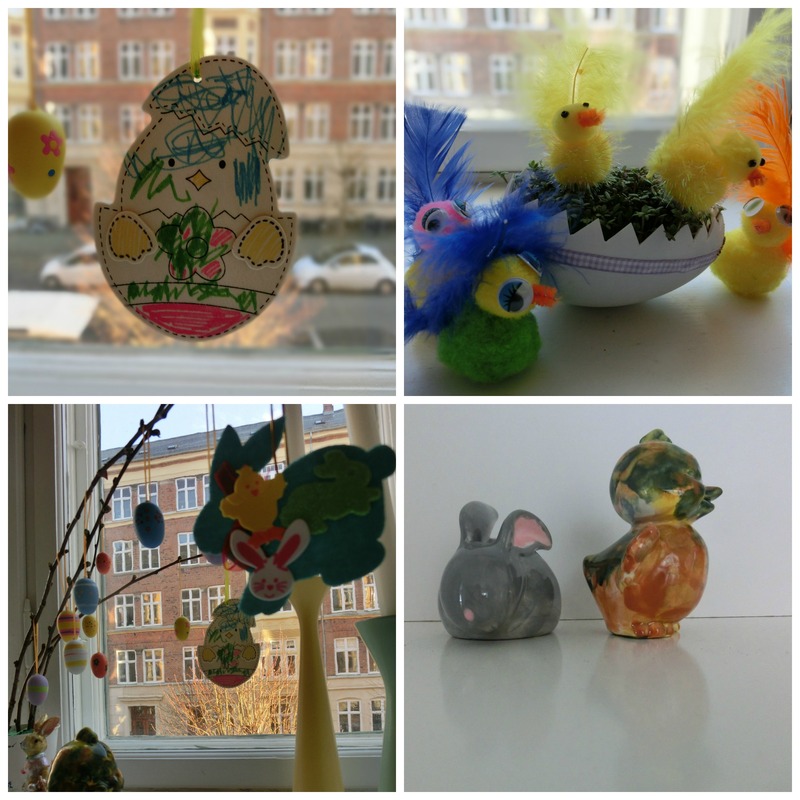 Whilst I bought a few bits and bobs from supermarkets and have some Danish design decorations for our Easter display, it is predominantly a handmade affair – both by my son and me. 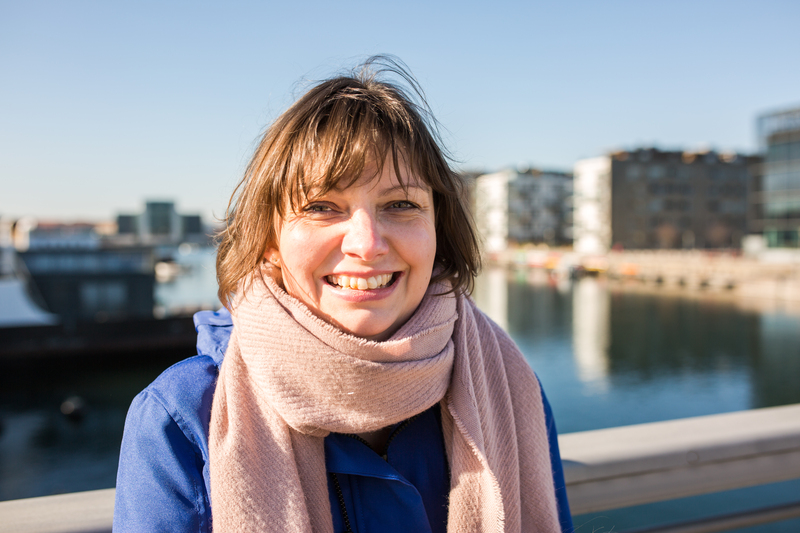 I love sitting together and creating things and Easter seems to be a very relaxed time to do this. Each year we make new things but I treasure the ones my son made from previous years. These are his creations this year and I love them. 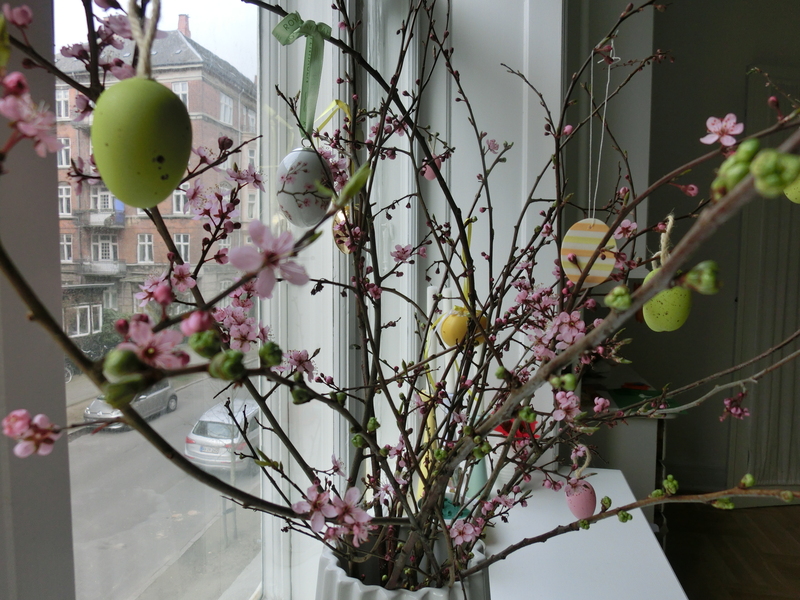 And here are mine at the top (rabbit painted at Creative Space) and some bought ones at the bottom including my favourite porcelain egg from Royal Copenhagen, I simply can’t get enough of pink blossoms so this is perfect for me. Finally the piece this Easter I am the most proud of is my Spring wreath. 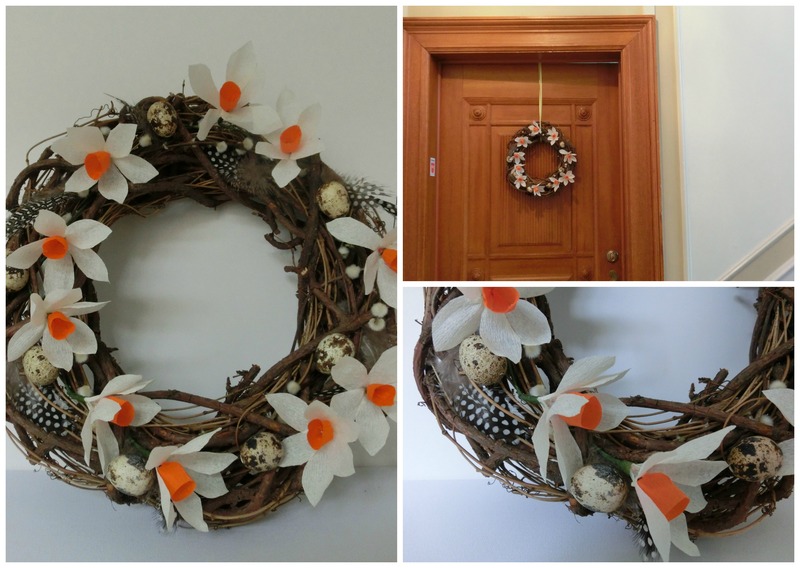 I made ten narcissus from this tutorial and I planned to make a brighter wreath but in the end, whilst looking at the selection of decorations I had, I decided to go for a natural look with feathers and quails eggs so the paper flowers really shone out. Lots of my neighbours have complemented me on it so I am delighted to have brighten up their days. 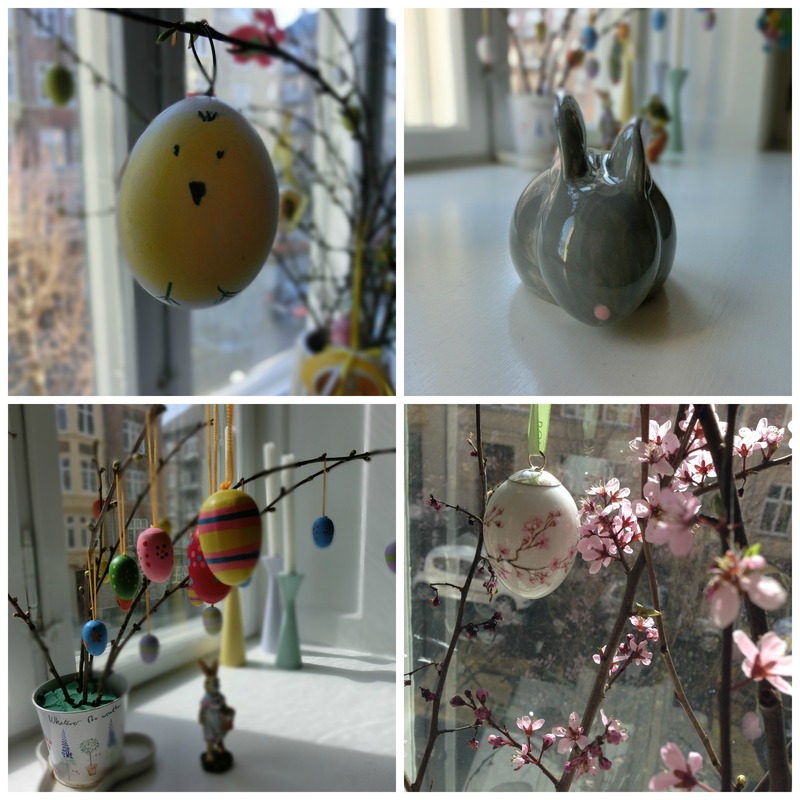 I hope you have enjoyed a peek at my Easter. Beautiful decorations. I especially love the pink blossoms, and your wreath is gorgeous! Thank you for sharing all of this. I love your wreath! Happy Easter sweet lady!